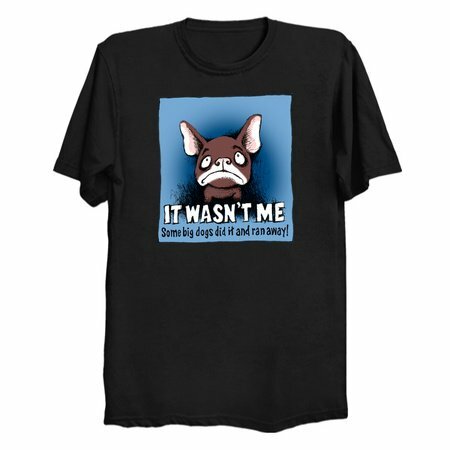 Humorous cartoon design featuring a cute, but decidedly guilty-looking, French Bulldog. "It wasn't me... 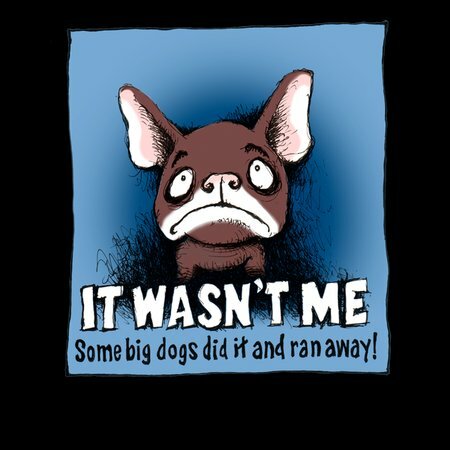 Some big dogs did it and ran away!"